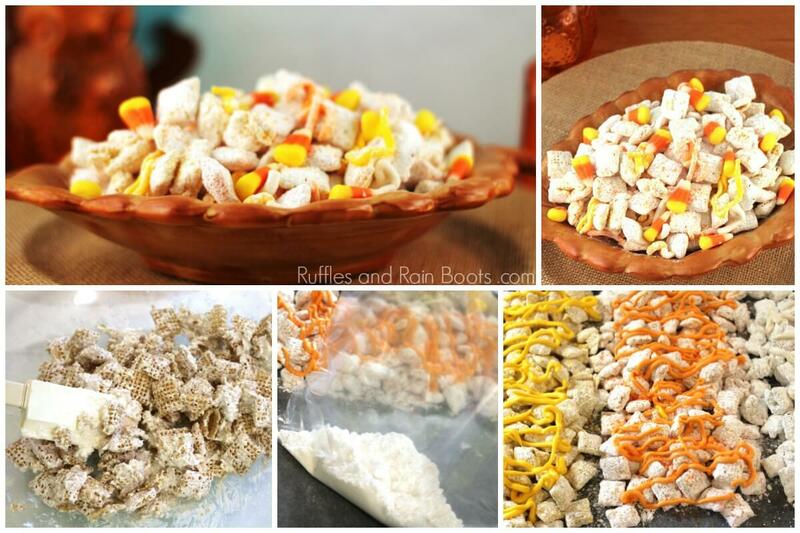 This candy corn puppy chow recipe is the perfect muddy buddy recipe for fall. A mix of sweet, salty, and oh-so-good, it’s quick to make so let’s get started! Whether we’re hosting or not, it seems the snack table is just too good to pass up. 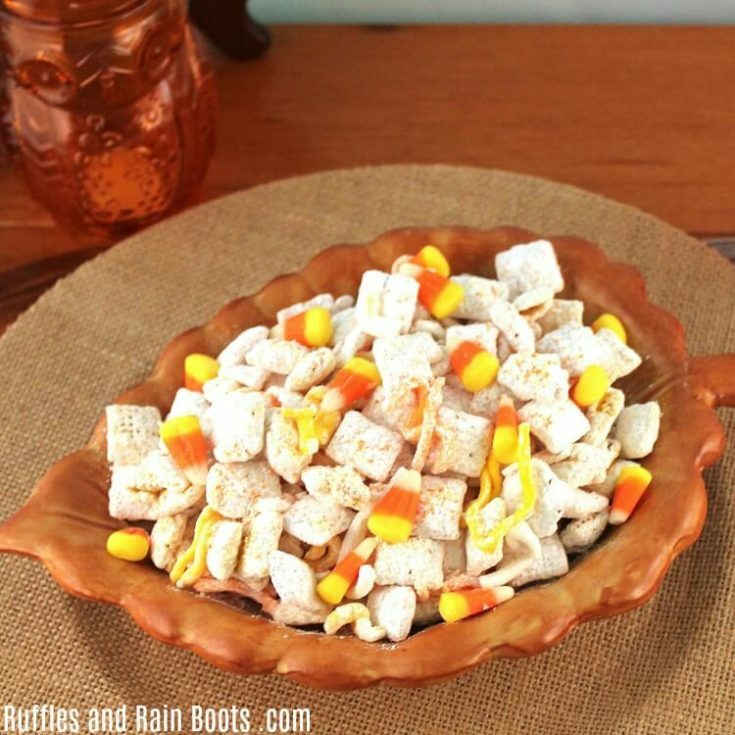 And this Candy Corn Puppy Chow recipe should be on that table. 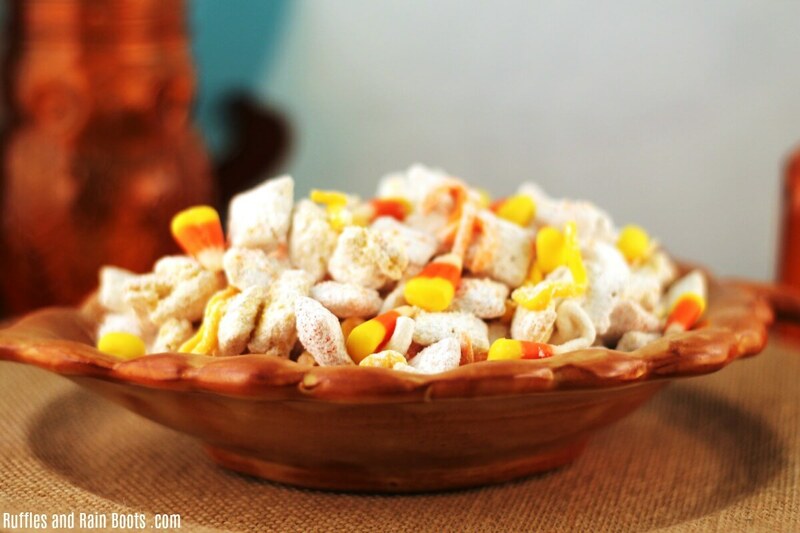 This fun candy corn puppy chow recipe doesn’t actually use that many ingredients. 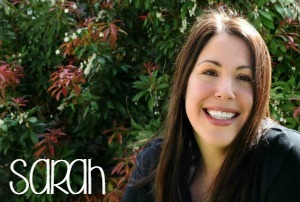 The process is mostly stirring, so get the kids in the kitchen to help! These ingredients yield 16 servings. Before we get started, line a baking tray with parchment paper, get a big bowl and a zip top sealable bag. Place 1/3 cup of yellow candy melts in a microwave-safe container and melt per package instructions. 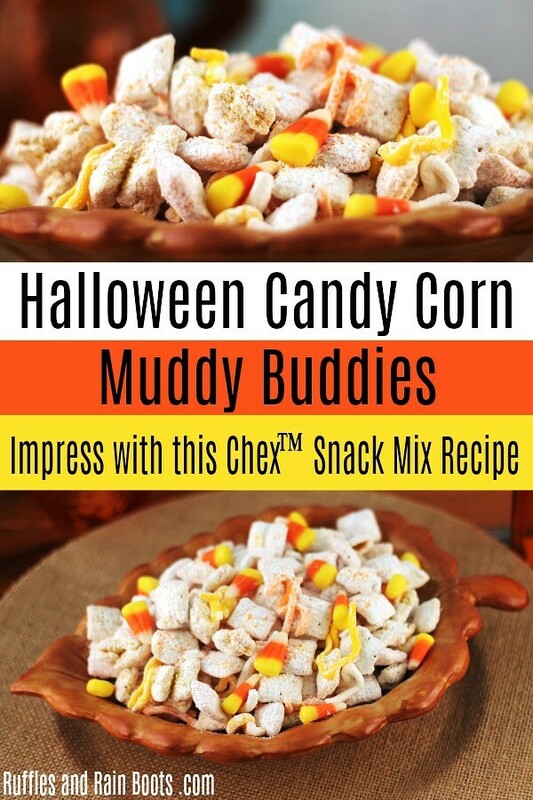 Add 2 cups Chex™ cereal into a bowl and add the melted yellow candy. Stir until all cereal is coated. Place the sugar into a zip top bag, add the yellow sugar sprinkles and the candy-coated cereal. Seal the bag and shake well. Lay it all out on a baking sheet to set. Repeat steps 1-3 for the white candy melts, however, only coat the candy-coated cereal with the powdered sugar (no color). Allow the Muddy Buddies to dry completely before combining. 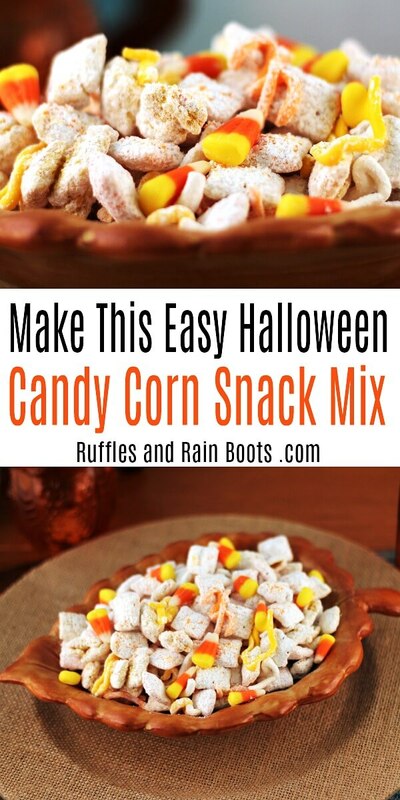 Add candy corn for garnish and serve. This can be stored in an airtight container on the counter for up to 5 days. This candy corn puppy chow recipe is the perfect muddy buddy recipe for fall. What is your favorite Puppy Chow recipe? We are going to share some pretty amazing Muddy Recipes in the near future. Subscribe to the Ruffles and Rain Boots weekly newsletter stay informed!